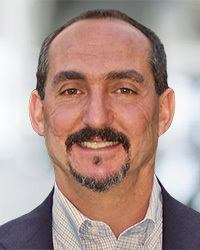 Jeff Savlov is a creative, dynamic, experienced speaker with a unique background including his family’s commercial printing business in NYC, a separate, successful career in sales and marketing, graduate work in family systems and group dynamics, training as a family therapist and certified psychoanalyst and a niche consulting practice serving business and legacy families at the intersection of family dynamics and business/wealth. His presentations often include innovative references to popular culture that clearly explain complex ideas, making them fun and easily understood by audiences. Some of the family business and wealth topics Jeff speaks on are below. His talks can be tailored for families, professional advisors or both in a variety of format lengths and structures. Cutting-edge research, helpful anecdotes and practical, actionable advice for parenting in the challenging context of wealth. Creative, entertaining and powerfully educational. Using documentary video clips families and professionals will learn what it takes for families to be successful across generations and how their professionals can help or hinder them. Includes video examples of a family and its advisors. Attendees will learn various ways to understand the pressures on families when they share significant assets, how to manage normal conflict and minimize it into the future. Learn the practices of successful families who have transitioned family business/wealth across generations. Understand the underlying dynamics that make it so challenging. Jeff Savlov has presented at the Purposeful Planning Institute on multiple occasions. Jeff is a dynamic speaker who understands both the beautiful complexity of family dynamics and the interplay between business succession, flourishing families and legacy planning. His enthusiasm, creativity, humor and substance make him a great presenter. I’ve collaborated with Jeff on several occasions, and I attended a few of his workshops. I find Jeff and his work inspiring. His intellectual curiosity harmoniously pairs up with his in-depth knowledge of individual behavior and family interaction. This allows him to capture innovative educational needs for enterprising families and their advisors, and to address them with elements of originality. …”we selected [Jeff] after searching around New York City for the most credible and experienced family business advisors. His intelligence, humor and ability to connect the dots makes him a very effective teacher and guide. "In all, your presentation was among the most interactive and participatory of continuing education sessions we've hosted in recent years." Jeff Savlov will personally respond to to your inquiry to learn more about your family situation, share more about his background and experience and answer your questions.